A Jazzy Christmas season is happening in Great Buffalo this year! Plenty of enjoyable music to get you in the holiday spirit! If you enjoy the sounds of the holidays performed by big bands, this is going to be your week! 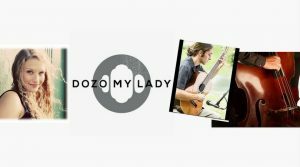 Be sure to check out the article, 26 Holiday Jazz Events To Enjoy This Christmas Season, on the holiday jazz events presented by our local jazz artists throughout the area. 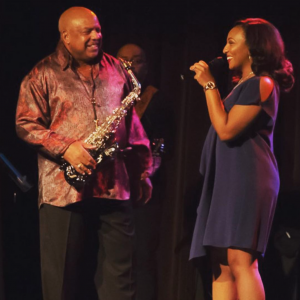 See smooth jazz star Gerald Albright on his Christmas tour and revel in his smooth sax sound. For a fun family affair that mixes the holidays, Santa, cookies, and jazz together, check out the inaugural CookieFest at the Terrace at Delaware Park that will feature the fabulous vocals of Carolyn Lansom. 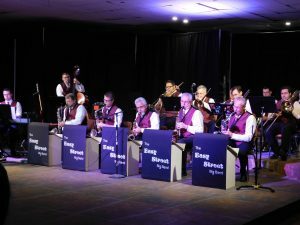 Enjoy the holiday sound of the Easy Street Big Band in an annual Christmas concert. 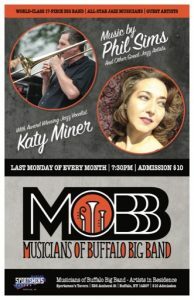 Check out the Phil Sims led MOBB big band in a holiday concert with vocals by Katy Miner and special guest Mike Civisca. Phil Sims, the founder of the Buffalo Brass Big Band, recently formed the Musicians of Buffalo Big Band (the MOBBB). This 17-piece band consists of many of the area’s top jazz artists and big band players. Then closing out the year on December 17th with a Big Band Christmas Holiday Concert. 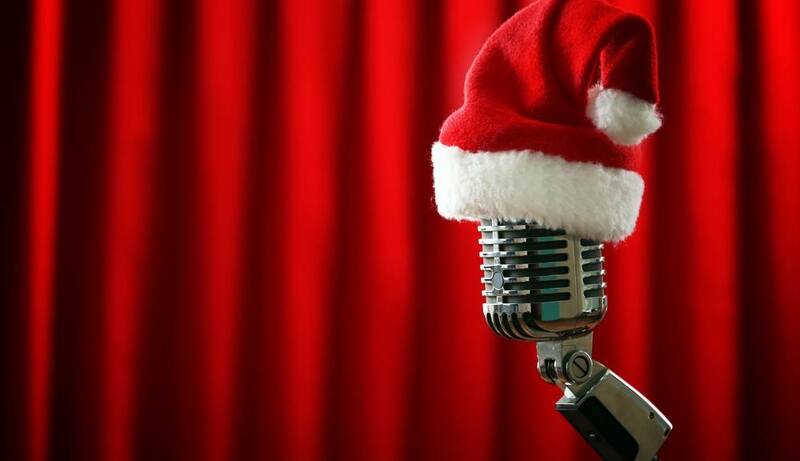 December 17th Katy will be joined by male vocalist Mike Civisca for their final performance of 2018 in a Holiday Concert. The Joe Baudo Big Band has been offering up the longest running Tuesday lunchtime performances and for this week they will feature Christmas Jazz. Joe Baudo Big Band performs Tuesday at the noon hour with Cheryl Ferris often joining in. 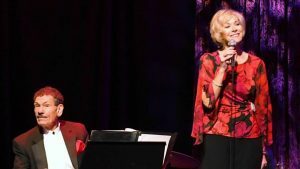 For two Tuesdays in December (11th and 18th) the swinging big band will accompany Chery Ferris and her vocal interpretations of Christmas Jazz standards. What a year it has been for the Hotel Henry Jazz Concert Series produced by JazzBuffalo. Many thanks to the Hotel Henry for their generosity in opening up this cultural beauty to the community. It has been a joy to see many of the retunings faces! 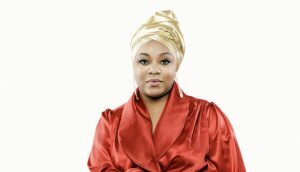 The second Jazz Christmas show is sold out and we look ahead to 2019. After taking a breather in January, we will be kicking the series off in 2019 with the 5th Annual JazzBuffalo Poll Awards and a special appearance by The Wendell Rivera Latin Jazz Band on Wednesday, February 13. Mark your calendars and look for tickets soon! 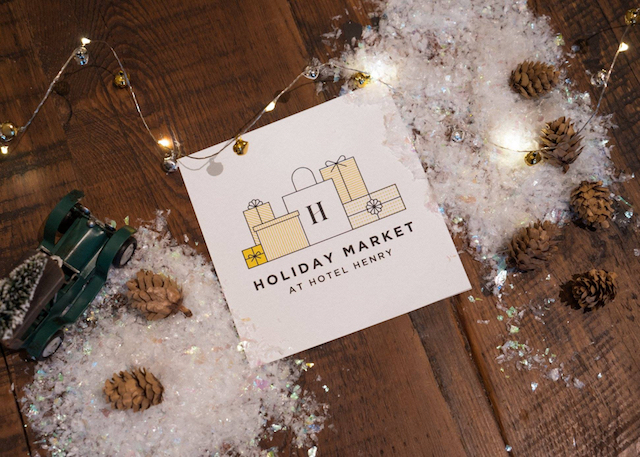 Once again, JazzBuffalo will be supporting Hotel Henry’s spectacular Holiday Market events. 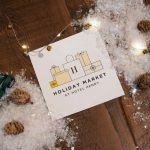 The Holiday Market which will feature vendors on 2 floors and 2 brunches taking place. 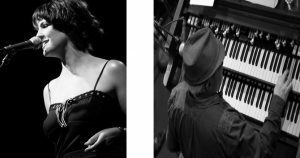 JazzBuffalo has lined up for the Holiday Ballroom Jazz Brunch the following schedule of fantastic Buffalo music artists – December 16th will feature the French ConéXion Duo. The Albright-Knox Art Gallery Art Of Jazz Series kicked off in great style with Sullivan Fortner. 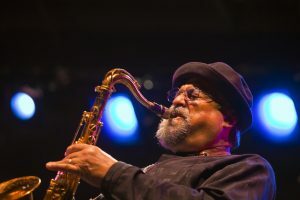 Next up, is the incomparable Joe Lovano. The show is already more than halfway sold! If you have not gotten your tickets yet, do not wait!! 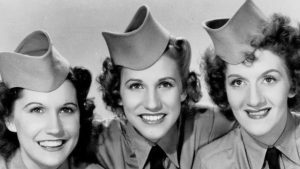 JazzBuffalo and MusicalFare Theater Premier Cabaret Lounge are teaming up to present three jazz shows in January. 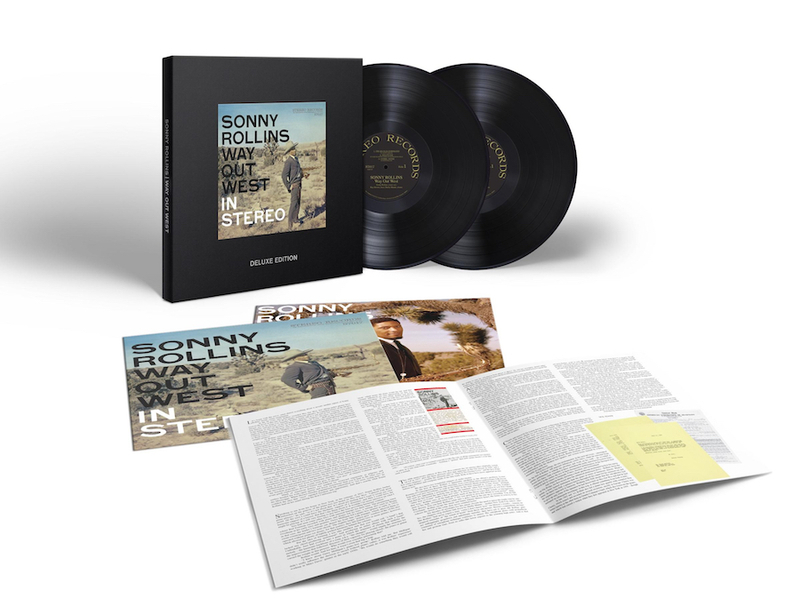 These not only make great gifts but are exciting shows to attend. Make sure to click “Find out” more to get more information and to get tickets soon! 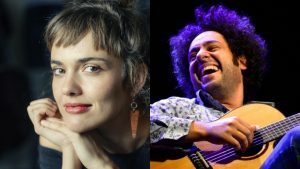 International Jazz Sensations Diego Figueiredo & Camille Bertault Together! Buffalo gets a home visit from noted jazz guitarist, Dave Scott for the Holidays. Scott will duo with one of Buffalo’s best upright bassist, Bud Fadale. Enjoy the beautiful location of the Terrace at Delaware Park overlooking scenic Hoyt Lake. Call the Terrace at 716-886-0089 to make your dinner reservation. Or, enjoy cocktail specials at the bar. 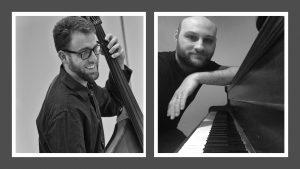 See two outstanding jazz musicians in Andrew Nixon on keyboards and Ed Croft on upright bass. Call 716-886-0089 for dinner reservations or stop at the bar for cocktail specials.